Your work life doesn’t have to be consumed by stress: learn how to practice stress relief at work. Do you find yourself living a life defined by panic and stress? Perhaps work has got you over the limit, and your tunnel vision is causing your stress and anxiety to come home with you. According to Forbes, the average employee is interrupted up to 7 times per hour and distracted up to 2 hours per day. It’s no wonder that so many people feel stressed out! Wellworks For You wants you to know that there’s light at the end of the tunnel. With these 5 ways to practice stress relief at work, you’ll find yourself experiencing less stressful days, even when those distractions and interruptions come your way. Most of us think that if we set a schedule of working a straight, 8-hour day, we will get more done. The problem is, this is not how our brains work. When we expect ourselves to deliver quality work for 8 hours straight, we set unrealistic expectations on ourselves and become frustrated and stressed. Instead of planning to work for 8 hours straight, break up your work in 90-minute increments. When you do this, you are allowing yourself to take a break and regain composure. Go for a walk, stretch, and don’t forget to breathe. You will be able to deliver higher quality work, and you will still be less stressed while you do it. Step 2. Eat Right and Get Enough Sleep. According to the CDC, an estimated 60 million americans are lacking sleep, which is critical in recovery for the body. Be sure you get sufficient sleep each night. If you find that your mind is racing before bed, perform a “brain dump” and put everything on paper to get it out of your mind. Also, eating a high-sugar and low-protein diet will stress your system; instead, aim to increase your protein and vitamin intake while lowering the amount of sugars you eat each day. This is a step that is easier said than done. Most of us know we need to practice this, but not many of us actually do. When you find yourself in a heated meeting or drowning in paperwork, remove yourself from the situation and breathe. Inhale for 5 seconds, hold and exhale in equal counts through the nose. This will calm you down and help you to deal with the situation more rationally. Step 4. It’s all about perspective. When a stressful event arises, it is important to not react immediately out of the wave of emotion that’s coursing through your body. It’s important to step back and take an objective view of the situation. Don’t just think about how a situation is affecting you – think thoroughly about the reasons why the situation arose and who else it may be affecting. When you are able to remove yourself from your immediate emotional response and have a perspective change stress relief at work can begin. Step 5. Identify self-imposed stress. That’s right. Not all stressed is caused by others. There are many instances that we bring stress upon our own shoulders, unnecessarily. The key to reducing self-imposed stress is building your own self-confidence, and not seek approval from others. If you’re too worried about other people’s views of who you are, you begin idolizing factors that are not controllable by you. By focusing more on what you think of yourself, you are focusing on things that you can control. 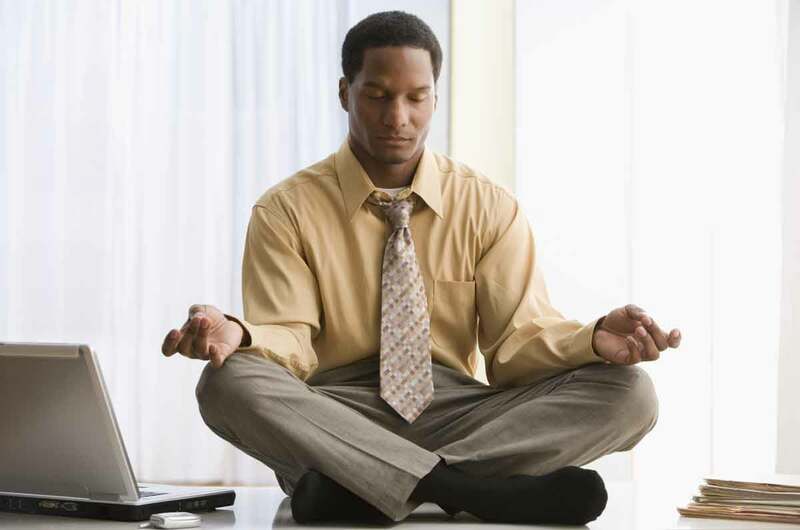 For more information on how you can find stress relief at work, contact Wellworks For You at 1-800-425-4657.